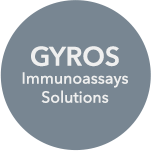 Gyros Protein Technologies senior management includes several team members with more than 20 years’ experience in the areas of research and development, sales and marketing and business development. They have all held senior positions in small to multinational companies and global organizations within the pharmaceutical, biotechnology, diagnostics and life science supply sectors. Dan Calvo has over 30 years of experience in the life and health sciences industries. Most recently, Dan was President and Chief Executive Officer of Oncimmune (USA) LLC, a leading early cancer detection company. Prior to joining Oncimmune LCC, Dan was CEO at two private companies, Cellomics and Assay Designs, which were sold to public companies Fisher Scientific (now Thermo Fisher) and Enzo Biochem, respectively. Dan has also held executive positions with PerkinElmer and NEN Life Sciences. Erik Wiberg has over 20 years of diverse operating finance and M&A experience at global high tech firms. Erik joined Protein Technologies as CFO in November 2014. Before joining Protein Technologies Erik held various senior financial management positions at the Chamberlain Group, ThermoFisher Scientific, and AlliedSignal/Honeywell. Erik earned a MBA degree from the Anderson Graduate School of Management at the University of California at Los Angeles and a BS in Mechanical Engineering from the University of California at San Diego. Katherine Flagg joined Gyros in 2009. She has vast experience in leading sales, service and application teams in the biotech supply industry. Ms. Flagg began her career in life sciences at Pharmacia Biotech (now GE Healthcare) in 1988 and has since then successfully held several key roles in sales and market development at BioVeris/IGEN, ForteBio and most recently at BioScale. Her in-depth knowledge of the process involved in the development of protein therapeutics is of significant value for researchers who employ Gyrolab technology to accelerate their drug development process. Helping customers identify and implement relevant new tools that bring value to their research is the focus of her efforts. Mark Vossenaar has more than 25 years of experience in developing and leading life and health science commercial teams, having worked for large and small companies such as Amersham Bioscience, GE Healthcare, Stratagene, Agilent Technologies and most recently Hill-Rom International. Peter Luk has over 26 years of working experience in Life Science and Analytical tool companies like Bio-Rad Laboratories, Packard Biosciences, PerkinElmer, Molecular Devices in Asia Pacific. He had key roles in technical support, marketing, sales management and operation management for different companies. His track record of rapidly growing business in Asia Pacific and distributor management are valuable to the company in developing the emerging Asia market. Prior to joining Gyros Peter was the General Manager of ProteinSimple in Asia Pacific. Ivan Kamensky leads the R&D and product supply teams at Gyros. His responsibilities include driving strategic and operational decisions as well as managing product development, intellectual property, manufacturing and QA/QC, and overseeing the existing product line. Previously, Ivan was Business Leader at GE Healthcare where he led teams in the AKTA instruments and media group, which included the successful development and launch of a new generation of AKTA instruments. Prior to that, he was Director in the Proteomics Business Area for Amersham Pharmacia Biotech. Ivan has worked for several other instrument companies including Malvern Instruments and Applied Biosystems. Ivan earned his Ph.D. in Ion Physics at Uppsala University. Jasmine Gruia-Gray, Ph.D. most recently was Vice President, Marketing at Biodesix Inc., where she launched the company’s first ctDNA and fusion RNA blood-based diagnostic tests. She has extensive leadership experience in the life sciences industry, where she previously drove corporate marketing and demand generation as the Vice President, Global Marketing at Affymetrix, Inc. and at Dionex Corporation (now both part of Thermo Fisher Scientific). Jasmine has also had successive levels of responsibility in the life sciences division of GE Healthcare. She holds a Ph.D. in Molecular Biology from the University of Toronto and did post-doctoral research at the NIH. Maria Hjortsmark joined Gyros in 2012. She has vast experience in leading marketing and support teams in the biotech supply industry. She is responsible for the marketing, communication and 2nd line support. In addition to strategic business development efforts, she directs media relations, branding, advertising and website development. Maria began her career in life sciences at Pharmacia Biotech (now GE Healthcare) in 1991 and has since then successfully held several key roles in marketing at Personal Chemistry (now Biotage), Pyrosequencing (now Qiagen) Phadia (now Thermo Fisher Scientific) and most recently at Halo Genomics, now a part of Agilent Technologies. Maria holds a BSc. in Molecular Biology and Microbiology. Peter Bergwall has over 20 years of experience leading the technical support and service group at Protein Technologies. He is responsible for coordinating field service activities and providing technical support for all Protein Technologies products worldwide. He brings a long history in the peptide synthesizer market and extensive experience in managing a service organization. Peter earned his MS in Biochemistry from the University of Connecticut and a BS in Biochemistry from Trinity College. Doug Malson has been with Protein Technologies since 1989 when the company decided to get into the peptide synthesizer market. He has held several positions over the years all based around the manufacturing side of the instruments and consumables. Prior to joining Protein Technologies he was with Vega Biotechnologies from 1981 until joining Protein Technologies in 1989. Vega was a manufacturer of Peptide and DNA synthesizers.